Japanese Maples are a large group ornamental shrubs and small trees and arguably amongst the most ornate and colourful of all hardy garden plants. The majority of Japanese Maples are hybrids and selected cultivars of Acer palmatum, a native to Japan, Korea, eastern Mongolia, and southeast Russia so it is fair to assume that they will be equally at home in northern European climates. 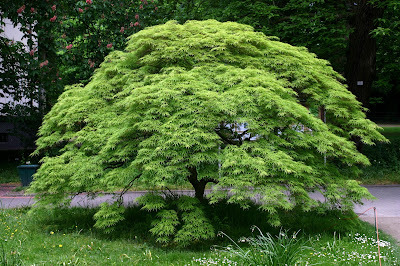 The closer Japanese Maples are to the species type then the hardier and more tolerant to exposed conditions they are. Palmate, green-leaved varieties are generally suitable for open, sunny positions while the fine-leaved forms will require sheltered positions in dappled or even heavy shade. Some of the more extreme cultivars can even show signs of wind burn or scorch just by looking at them funny! 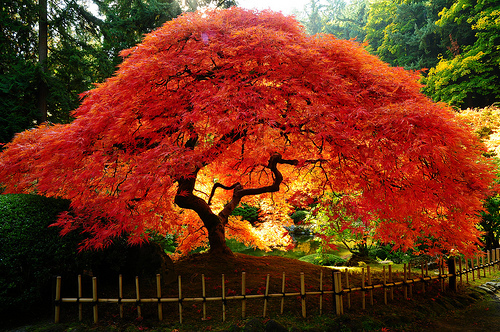 Japanese Maples are best planted in the autumn ( up until March) in a cool, well-drained, but moist soil. However, the majority of specimens are purchased as pot-grown specimens in late spring and early summer and so long as they are watered during dry spells they will establish with little effort. Those cultivars nearer the type species are usually found to be lime tolerant while the more ornamental selections can suffer if not planted into slightly acidic soil. If in doubt dig in plenty of ericaceous compost before planting. Japanese Maples have compact root systems, so when planted in regions prone to drought they can be put at risk. 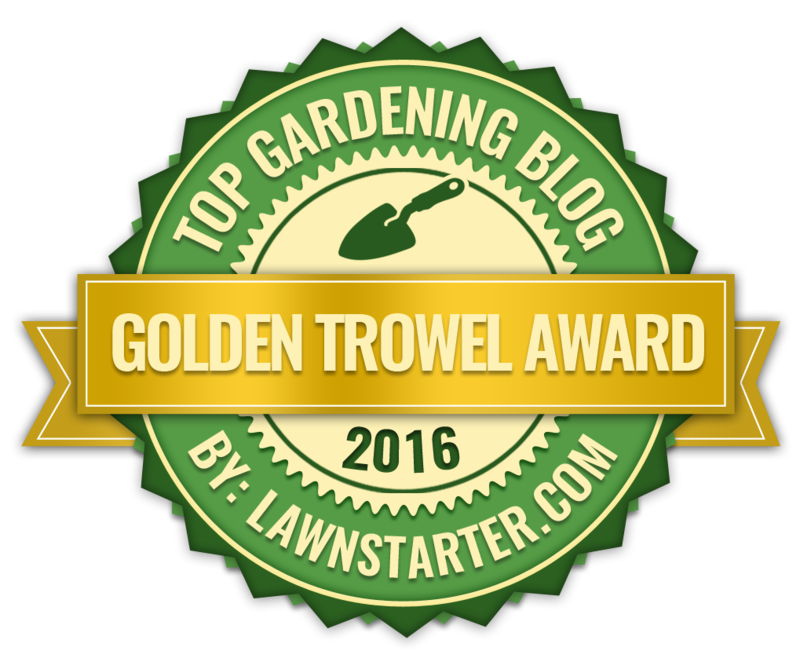 In this instance try to provide consistent water conditions and a thick dry mulch. As equally important, avoid soils prone to waterlogging. 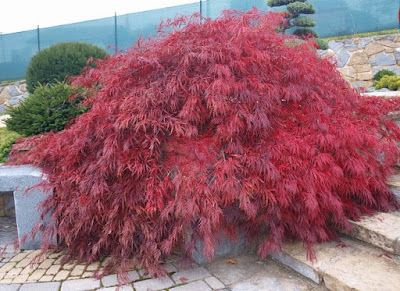 Japanese Maples do not perform well on heavy fertilization as this can cause overly vigorous growth that is prone to pests pathogens. Instead lightly fertilize using slow release fertilizers.